KOA’s new RS73-series is designed for high precision and high reliability applications by using thick film technology. With a T.C.R. down to 25ppm and a tolerance as low as 0.1%, the new RS73-series from KOA is ideal for precision designs such as high-accuracy sensing or voltage detection circuits in automotive, industrial and measuring applications, where ESD sensitivity is an issue. Also outstanding are the data regarding long-term stability. The 1000h endurance test results in a maximum deviation of 0.2%. 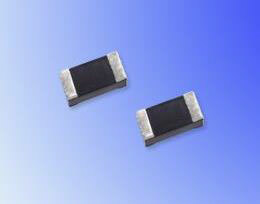 Values that were previously known only from resistors in thin film technology. Currently, the RS73 series is only available in 0603 size. However, 0402, 0805 and 1206 are under development and will be released soon. You can also download the RS73 datasheet. The series is tested according the AEC-Q200 requirements.